Preserving garlic in olive oil at home is possible, but extreme caution must be exercised because of the nature of the combination. Garlic in oil provides an ideal environment for food-borne illness if improperly stored. The lack of acidity in the garlic and the absence of oxygen are a recipe for disaster. However, if you follow the correct methods, you can safely preserve garlic in olive oil without worry. Place 5 to 10 fresh garlic cloves on a clean cutting board. Slice off the ends of each clove, cover with a large kitchen knife, and then hit the knife with your fist to squash each clove one at a time. Peel the skin carefully from each clove once it's been squashed, and continue until all cloves are peeled. Place the peeled garlic cloves into a wide-mouth canning jar. Fill the jar with olive oil to completely submerge the garlic cloves. Secure the lid onto the jar as tightly as possible. Place the jar of olive oil and garlic in the refrigerator, where it will keep for up to 30 days. Scoop out the oil with a spoon when it becomes solid to retrieve the garlic cloves. Always use a dry spoon and never allow any water or moisture to enter the jar, as this can lead to botulism. Place the jar into the freezer if you need to store the cloves longer than 30 days. The preserved garlic will keep for 3 to 4 months when frozen. Scoop out the mixture with a dry spoon when necessary to retrieve the cloves. Dehydrating garlic cloves before submerging in oil will prevent food-borne illness, and the combination can be safely stored at room temperature as long as the garlic is properly dehydrated. If you're unsure, it's best to store the cloves in the refrigerator or freezer. Never store garlic in oil at room temperature. This can cause botulism, which leads to serious illness or even death if consumed. 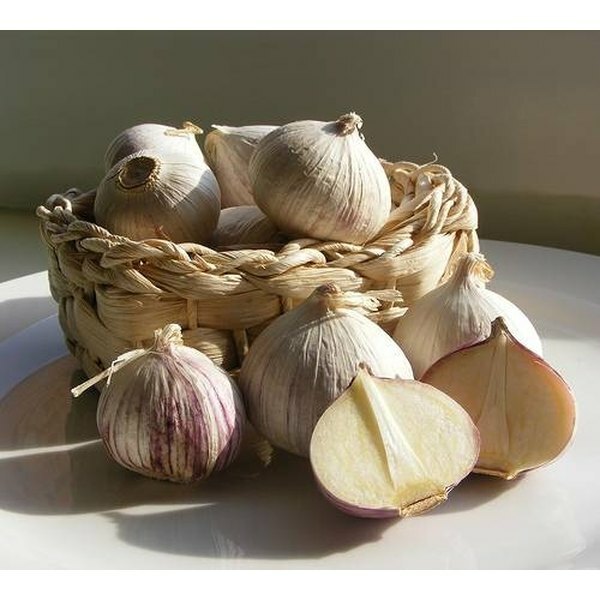 Always store fresh garlic preserved in oil in the refrigerator or freezer. 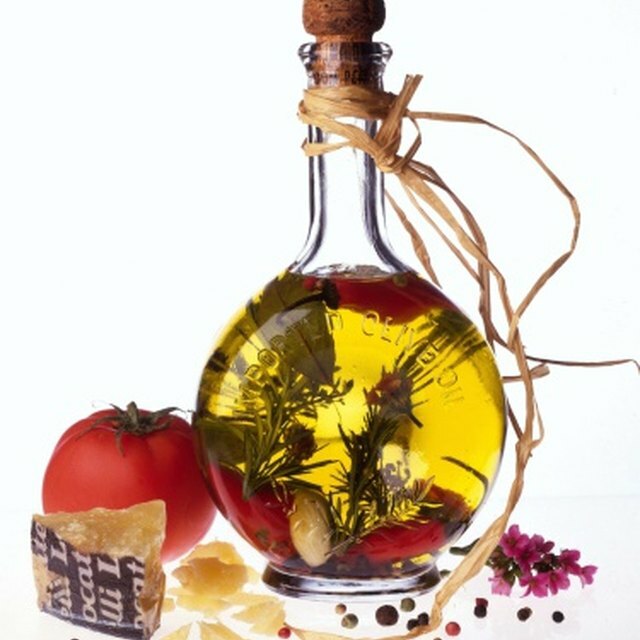 What Is the Difference Betweeen Cooking With Vegetable Oil & Olive Oil?